This cultivar which is a hybrid of H. 'One Man's Treasure' × H. 'Strawberry Delight' was introduced by Walters Gardens, Inc. and registered by Beverly and Dave Stegeman of Indiana in 2012. 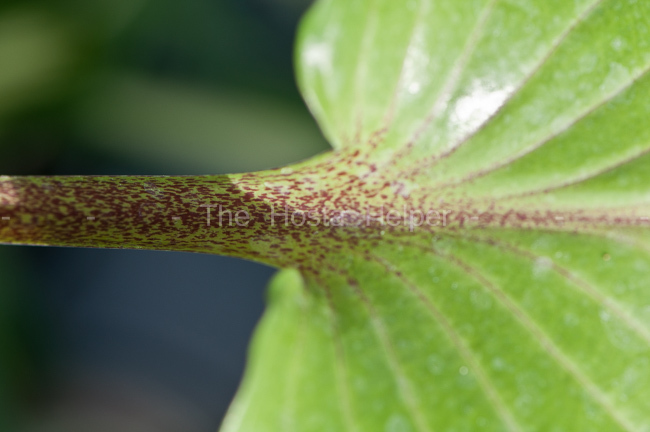 It grows to a medium size about 15 inches in height and has prominent red petioles with some of the color moving up into the leaf blade. 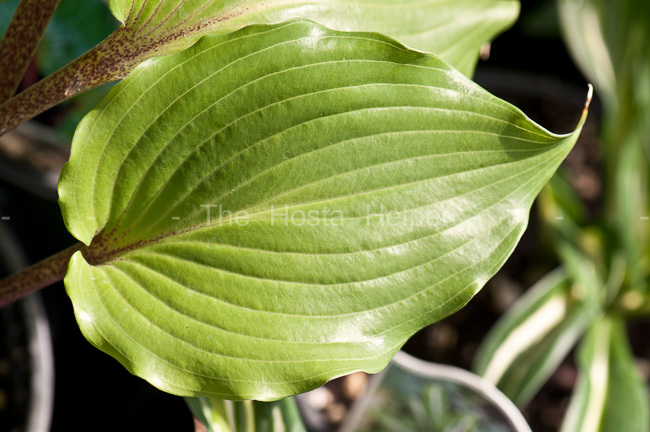 The leaves are shiny and have good substance with a slightly wavy margin. Pale lavender, tubular flowers bloom from September into October.